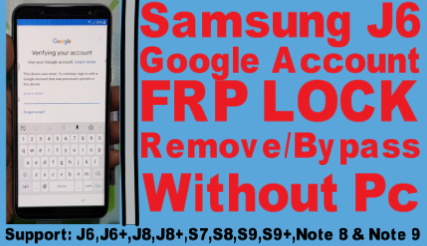 Samsung J6 Google Account /FRP Lock Remove/Bypass Without Pc. Samsung J6 FRP BYPASS REQUIRED FILE. Samsung J6 FRP BYPASS METHOD.